Posted on October 23, 2008 by Digital Sensei Tagged artbloggerblogosphereenterpriseforbesfunnyganghumorurban	Comments1 Comment on Bloggers in gangs do they mix? Bloggers in gangs do they mix? 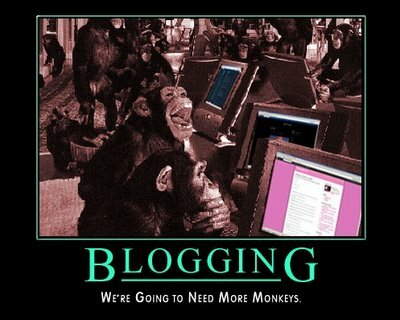 There are some serious common misconceptions about Bloggers within the cogs of the Enterprise machines. Many company executives see bloggers almost as a roving band of gangsters. Forbes wrote about “Attack of the Blogs“. It is all true. Bloggers even have gang hand signs. Sean Bonner, curator co-owner of the sixspace gallery came up with the original gang sign on September 23, 2005. Boing Boing covered the story, complete with the blog T-shirt war that followed. The poster above gives a more detailed view into the intricate workings of the blogger underworld. Tell us what you think of this, give your shout out in the comment below.